50 targets in all, along with 50 - 1" pasters to cover shot marks and extend the shooting life of your larger targets. 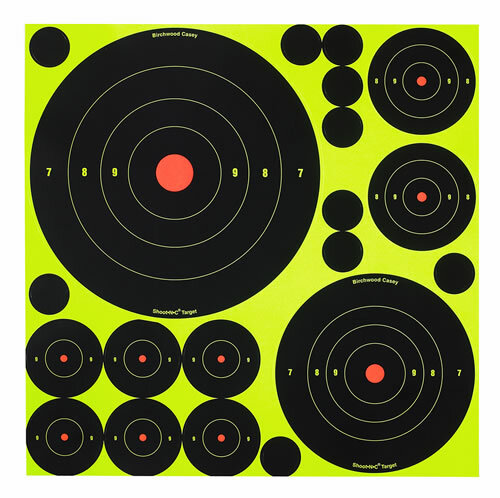 There is a target for several shooting needs, including rifles, handguns, pistols and airguns. 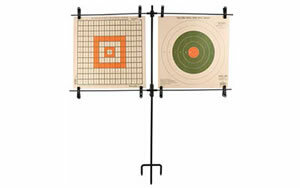 Targets can be adhered to the corrugated backer for convenient shooting fun. 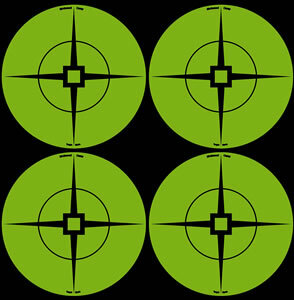 Size : 1"/ 2"/ 3"/5.5"/8"
Quantity : 5-8"/5- 5.5"/10- 3"/30- 2"/50- 1"